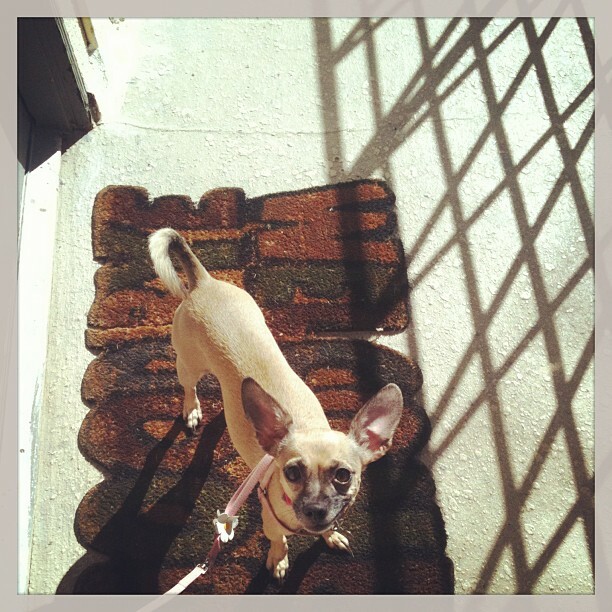 About four and a half years ago, I adopted a sweet, wonderful, chihuahua mix from a shelter here in LA. Since my dog, Abby, wasn’t a puppy when I rescued her (she is almost 9 years old), there are a few things she’s learned…and a few things she hasn’t. They do say that you can’t teach an old dog new tricks, and I suppose that is true sometimes. You see, every time I take Abby for a walk, she drives me crazy because she pulls on the leash. She pushes it to it’s absolute limit. She somehow thinks that her 7 pound, bone-skinny body will be able to lead me in any direction other than the one I want to take. This little dog tugs and tugs…using every bit of strength and energy she has. Worst of all, she sometimes pulls and tries to go into the road or toward a moving vehicle! This makes me wonder…after all of these years of me feeding her, protecting her, taking such good care of her, and keeping her alive, does she still not trust me to guide her? When this thought hit me…it also dawned on me that this must be how God feels. How many times have I pulled away, tugged to break loose, shut Him out, and run far from His perfect plan for me? You see…God sees the moving cars in our way, the red flags, the destruction, the damage. And in the midst of His perfect love and faithfulness, still, I run in my own direction straight into harm’s way. There’s something really interesting about my chihuahua, though. Most of the time, she doesn’t know what she is running toward. However, my apartment building has this really long hallway that leads straight to my front door. It’s completely closed in and safe…and while it is a long hall, it is thin…the narrow path. 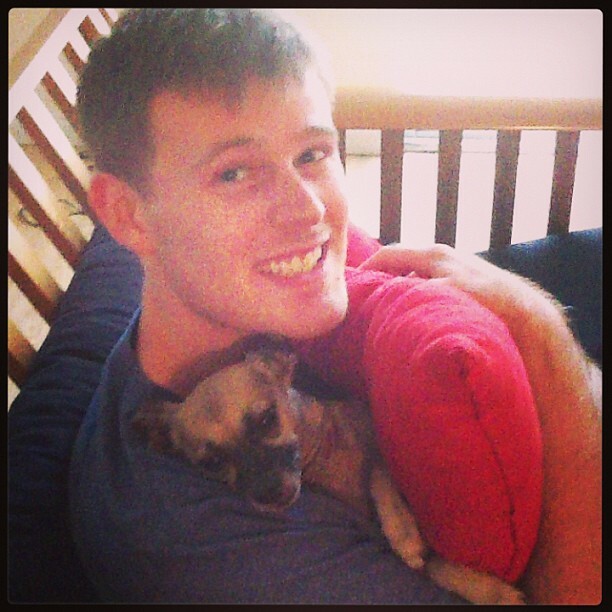 Abby loves my fiance, Nathan. Truly, she thinks she is his dog. When Nathan goes on walks with us, he always runs to my door before us. Then, I turn the corner with Abby…she sees him standing at the door. I let her off of her leash…and she runs straight into his arms. Once she sees him, she knows where she belongs…she remembers. And she is ready to go home. Have I given up on my dog just because she tries to break free? No. And God’s grace does’t work like that, either. His faithfulness to you and I is so fierce, so strong, and completely unconditional. Because no matter how many times you try to pull away, when you are ready to run back into His loving arms, He will be right there waiting to catch you. I think about the same thing when I am walking my dog! Lol, having a dog has taught me so much about God, Great post!